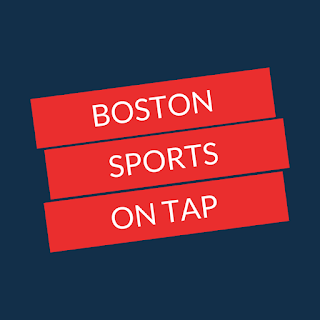 Hockey has not been the leading headline for the Boston Bruins over the last week and a half. 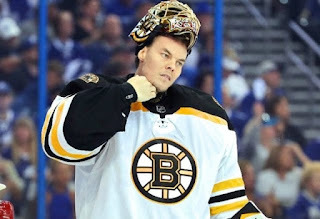 Tuukka Rask mysteriously disappeared from the team for a “personal leave of absence” which left many scratching their heads as to how long the 2014 Vezina Trophy winner would be gone. Although Rask’s play can at times be inconsistent at times he has been the anchor in net for years. A prolonged leave from the team left the Bruins faithful holding their breath. As mysteriously as Rask vanished from the locker room he returned roughly four days later and did not reveal much to the media. Rask has not started the year by living up to his potential, while his “backup” Jaroslav Halak has been impressing Bruins’ coaches and management. Whether Rask was working out a personal matter or simply needed to clear his head for a few days he will be needed for this team to make a run. Too much rides on this season for the Bruins to put their faith in Halak to be a starting goaltender. The team needs to manage these two players and the amount of minutes they see throughout the regular season. The hot hand can be played at times but both players will be crucial to the success of the Bruins. While Rask dominated the headlines off of the ice, the injury bug has reared its very ugly head upon the Bruins roster. The Bruins have lost a massive presence on their already thin blue line. The average height of the Bruins’ defense has shrunk incredibly but the team is also missing their leader in captain Zdeno Chara. Big Z will be out the next four to six weeks after suffering a nasty knee injury. At age 41 the Bruins should count their blessings that Chara did not suffer any major structural damage and would have to miss the remainder of the year. The Bruins are also missing Charlie McAvoy and Brandon Carlo from their defensive unit. Patrice Bergeron also took a nasty hit in their Friday night tilt against the Dallas Stars. Bergeron is not expected to miss significant time as he deals with this upper body injury. The game against the Stars was officiated extremely poorly and left players like Bergeron vulnerable to injury. Bruins fans have a right to be upset, if Brad Marchand delivered the same kind of hit that Bergeron took on Friday we could guarantee that he would be on a forced hiatus from the National Hockey League. More consistency is needed from the league to ensure the safety of all players. All in all the Bruins have not been playing that poorly with all of the distractions swirling around the team. Although they suffered an overtime loss on Friday against the Stars, Rask returned to the team and was almost unstoppable as he received no offensive support. Rask stopped thirty six of thirty seven shots that he faced. The team bounced back the following night with a 2-1 win over the Arizona Coyotes. Boston is 3-2 in their last five games and have a few days off before facing the Red Wings in Detroit on Wednesday. Goal scoring continues to be a major problem for the team and with several new call ups on the roster the team will have to work at practice to find some offensive chemistry. The Bruins are beginning to lose some ground in the Atlantic Division as they enter Sunday in fourth place. Out of the eight teams in the Atlantic the Bruins rank in sixth place in Goals For (GF). This speaks loudly to the value of the teams first line which accounts for over half of the team’s goals. The Bruins are missing key pieces to their roster but will need to search for answers from the players that remain. They cannot afford to continue to lose steam in the standings while waiting for familiar faces to return from injury. This could theoretically be the most difficult span of time for the Bruins if all goes according to plan from here on out. All teams go through adversity, the Bruins will see what their roster is made of as we move forward.